Our standard Backdrop Stand (with included fabric backdrop) is ideal for band and stage backdrops as well as for exhibitions and photography. Telescopic poles allow for a maximum backdrop size of 2400mm x 2400mm (8ft x 8ft). Blackback Pro 240gsm (£30.00) This must be a number! Double Sided Blackback (£135.00) This must be a number! 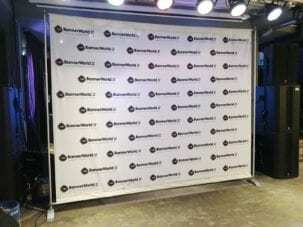 Our standard Backdrop Stand is ideal for band and stage backdrops as well as for exhibitions and photography. Telescopic poles allow for a maximum backdrop size of 2400mm x 2400mm (8ft x 8ft). 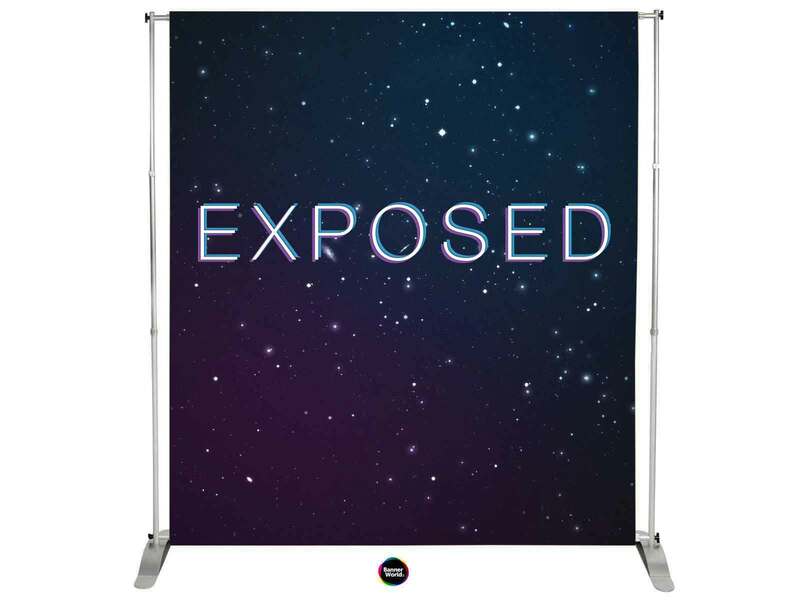 A flame-retardant custom printed fabric backdrop banner is included. Lightweight, the system packs easily away into the included carry bag. Price includes a full colour graphic printed onto durable and strong Polyester 210gsm. Our dye sublimation printing technology provides vibrant full colour images. Additional banner backdrops can be ordered at any time from just £45 for our Event Banner to £140 for our Blockout Fabric Banner. A double-sided option is also available. 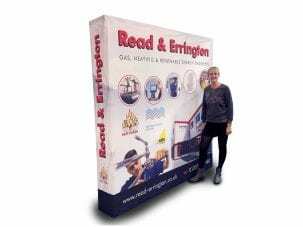 Our fabulous Fabric Backdrop Stands offer an even bigger display at up to 3740mm x 2260mm.